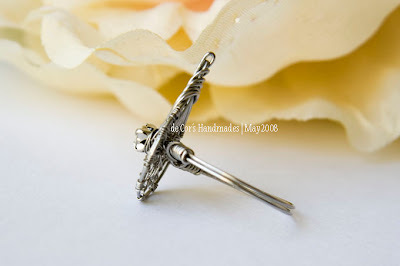 This Ring is composed from scratch - everything finished in ONE string of wire, 26ga. 4mm Cubic Zirconia diamond at it's center. 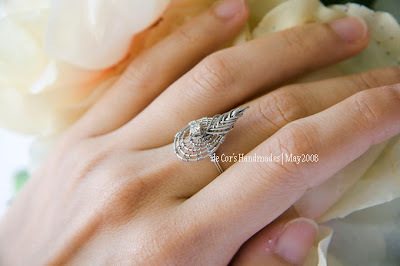 very pretty ring! I just found your blog. Enjoying it very much. oh, wow! 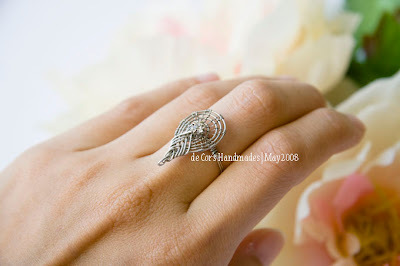 this ring is very stylish. the execution is very clean, perfect, just perfect! Pls, write more tutorials! Take care!